These guys are great. I've just used US to Oz for the second time and am delighted with their customer service. At one stage it looks like the cost of shipping a rather bulky speaker was going to end up costing me more than shopping around in Australia. When I mentioned this to Sarah we had a quick email exchange on alternatives such as repackaging into a smaller box and bingo, the shipping costs could be halved and I'm ahead. They really go the extra mile. Highly recommended. I cannot recommend US to OZ more highly. I love shopping from the US particularly for my son. The clothes are cheaper then what you pay in Australia for the same brands and there is a bigger range. I just wanted to thank you for a FANTASTIC service you offer! I stumbled upon your ship from US service by chance (I'd already researched the mainstream competitor services) on a forum, and I'm so glad I did! My parcel arrived very quickly & well packed! I'll definitely be using your service again & again! Plus I'll be spreading the word! Thank you!!! Your professionalism & your A1 communication makes you no.1 above the rest! Whoever said perfect customer service was dead!!! A big thank you to Sarah and US to OZ. 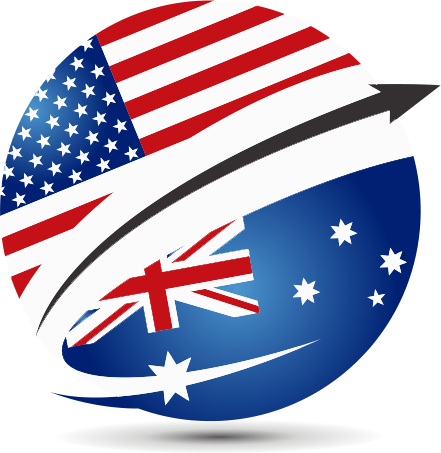 I had been hunting everywhere without any success trying to find a US seller for some specific sporting goods that would send the items to Australia. Retailers in Australia either didn’t stock my items or the prices were ridiculous. With the help of US to Oz I was able to buy the exact items I wanted saving me 70% on the local Australian price and then have them shipped to me fully insured and with a postal tracking number. This service is brilliant, really helpful suggestions, well organised and very quick and efficient communication and shipping. A very impressive service and I will be using US to OZ regularly from here on. Just wanted to say a big thank you to you and US to OZ for saving us a stack of money by allowing us to buy our travel gear in the US and have you ship it to us here in Australia. The savings were amazing, in most cases well over 50-70% of the cost here in Melbourne and those savings well and truely cover the cost of postage and insurance, not to mention the fact that a lot of US websites will not ship these incredibly cheap items outside of the US. Even though the Aussie dollar has drop, we will be using you again early next year for the kids gear as the savings will still be awesome. Thanks again for the website suggestions and the great communication throughout the process, it was refreshing to get great service over the web and was much appreciated.